One of the great mysteries of our time. What we know: The problem with this alleged procedure was that it left that “contained island” of bare scalp, which still called for a comb-over. 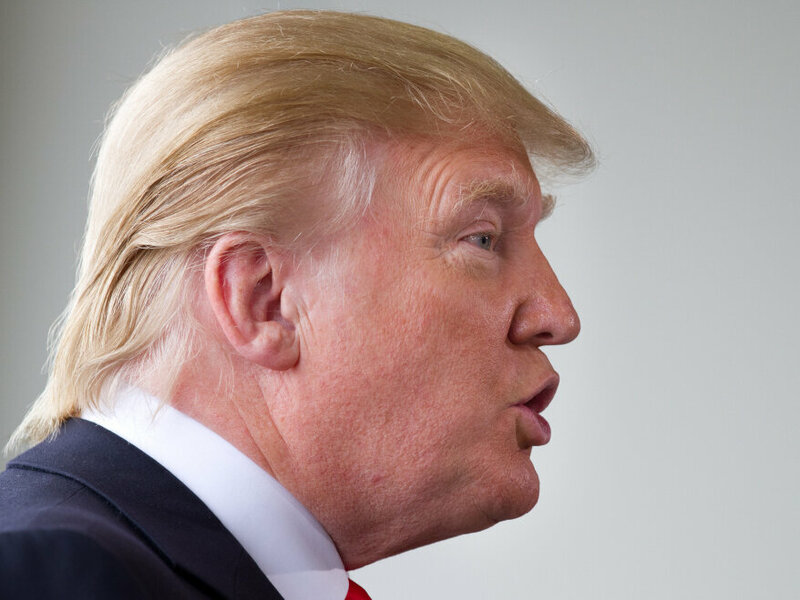 According to Wolff’s theory, Donald would gather up the fringe surrounding his bald spot, as if he was going to put it in a high pony.